Who are we at our CORE? 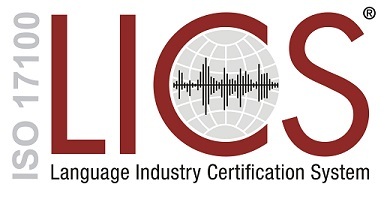 Multi-Languages Corporation is a high-quality certified translation and interpretation service provider founded October 15, 1997 with the vision to provide outstanding language services and improve the industry standards. We are the Bugatti of the Language industry. More importantly, the Multi-Languages culture is about making the world a better place! We are a force for change, transforming the world one person at a time. We transform lives, organizations and businesses by breaking the language barrier and making communication accessible to all in over 100 languages. Because of what we do, people are happier, wealthier and healthier. After two decades in business, we still believe in giving back, and we want people to feel happy and help others to achieve the same. It is a privilege to carry out this mission. Helping others is what inspires us, we can’t do this without YOU! We offer a wide range of language services including translation, interpreting (Conference, Community, Remote Simultaneous for webinars), revision, editing, proofreading, localization, design / layout, Braille, audio and video transcription. Our team of highly educated and skilled professional translators have extensive experience in the most varied fields. Our commitment to provide the highest quality in translation and interpreting services is backed by our “Outstanding Quality Guarantee”. Call us to work with a Certified Translation and Interpretation Service Provider that you can trust. We treat everyone with care and kindness. Social Consciousness: We understand the importance of diversity in the 21st Century. We are committed to the promotion of equal opportunity and access to essential public services for all Canadians. The elimination of the language barrier is vital to achieve this vision. We practice fair business practices with our clients, contractors and colleagues. We have a record of 20 years paying contractor on time 100% of the time without an exception. We appreciate our clients, employees, colleagues, independent contractors and vendors. It is a privilege to work with all of you. We lead the change in the translation and interpreting industry. We positively influence those who interact with us. We authentically love languages and communication. We are passionate to break the language barrier. Client Centered Services: We help our clients to overcome language barriers that could be limiting their performance and exceed their expectations throughout our everyday excellence by providing outstanding translation, interpretation, design and coaching services. We love to learn, to receive feedback from all parties and work at implementing change. We constantly brainstorm for new ideas. We highly value the contribution of those who work with us in different capacities and respect their individuality. We value the diversity of our team and the paramount contribution they provide to the company throughout their comprehensive knowledge, talents and skills. Not a day goes by without us acquiring new knowledge. Quality Services: We provide and monitor excellence in translation and interpretation services through our high standards and practices. We act with honesty, truthfulness and compassion. Confidentiality: We are a reliable and trustworthy organization that values your privacy. Confidentiality procedures are of utmost significance. We are 100% committed at being accountable, we have a Quality Guarantee in our contract. We are more than just a language company, we are a partner in the success of our clients, we are looking out for the best interest of those who cannot communicate. We are leaders in the language field and are constantly looking for ways to help the people we work with. We hold ourselves to the highest standard in terms of quality and care. We are passionate about what we do and the people we work with. We strive to create a unforgettable experience for the people that need us the most. We welcome change and are constantly learning and growing. We exeed expectations and serve with integrity at all times. We put the people we serve first, Their needs, wants, desires, and goals are our #1 priority. We are grateful we get to be a part of our clients success.